The different LC-MS techniques available today were developed to suit specific analytical needs and the application range covered by each one is wide, but still limited. GC amenable compounds can be all analyzed with a single GC-MS system whereas HPLC applications call for specific LC-MS instrumental arrangements. ESI, APCI, APPI, and EI are ionization techniques that can be combined with different analyzers, in single or tandem configuration, to create the ultimate system for a certain application. Once approaching LC-MS for a specific need, the fast technical evolution and the variegated commercial offer can induce confusion in the potential user. 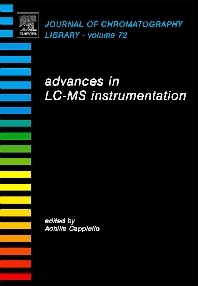 The role of this book is to enlighten the state-of-the-art of LC-MS evolution through a series of contributions written by the people that brought major, recent innovations in the field. Each chapter will take into consideration the novelties, the advantages and the possible applications covered by a particular technical solution. The book will also include new analytical methods that can provide benefits using the most recent innovations in LC-MS plus a certain number of key applications.